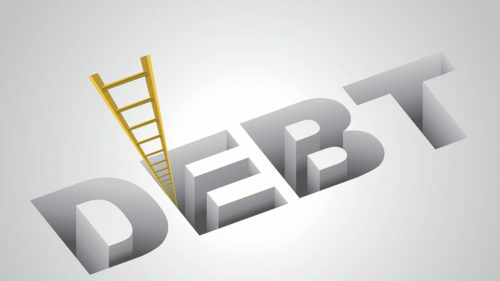 The Debt Ladder is my tried and trusted method that will guarantee success. By tackling your debt in manageable chunks, you will get multiple small wins and a sense of accomplishment that means you will feel good and will continue to pay it off. This debt ladder strategy is practical and simple, and it works as it is about behaviour modification, not math. Usually what people do is to start paying off the largest debt first, and because it’s the biggest you won’t see it leave for a while. You’ll see numbers going down on a page, but soon you’ll lose steam and stop paying extra. And you’ll still have all your debts hanging around. With my debt ladder you start paying off the smallest debt first, and quickly you start to see progress. That one debt is out of your life forever. Then the second debt will follow soon, and then the next. When you see the plan working, you stick to it. And when you do that, you’ll succeed in becoming debt-free! The next step is to keep up the momentum and the repayment is rolled into the next one on the list and so on until you make your way up to the top of ladder. The debt ladder method works because that when a debt is paid off, even if it is the smallest one, the satisfaction that you feel will be enough to keep you going to the end.